This little blue beauty came from my friends down under. It has a wonderful, even, velvety-blue color, and is certified untreated. Cut in a fancy checkerboard design, this one is guaranteed to capture attention. Heat Treated. 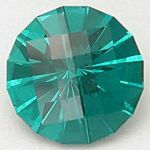 This natural, untreated greenish-blue beaut hails from Australia where it was mined by my good friends Stephen and Maureen. This uncooked natural Sapphire from Nigeria in an SRB shows a nice deep lavender-blue color throughout. 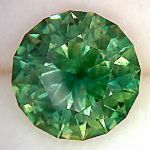 Australian Opal triplet with intense play of blue and green flashes. 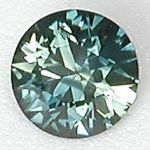 This certified untreated stone from Australia shows mainly teal colors, with flashes of both green and blue. 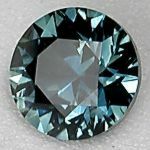 BIG, eye-clean, electric blue Apatite in my original Peaces Too design. 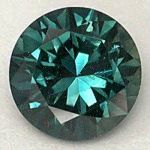 Awesome Indicolite from Mozambique in a nice pencil cut.